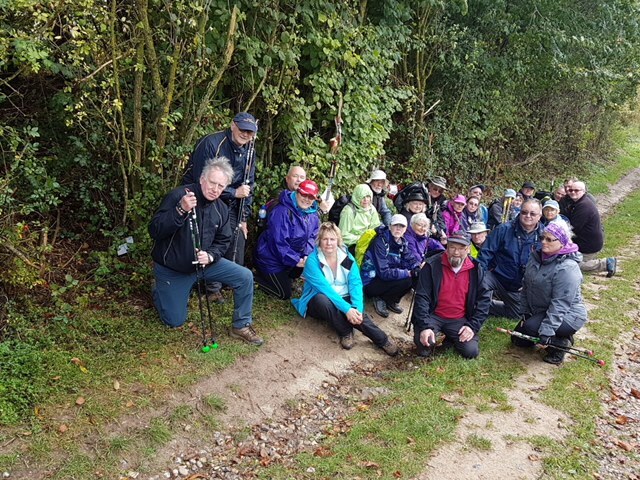 Well, after an the phenomenal demand and amazing success of our 2017 Nordic walking tour across the Somme, we have once again teamed up with Mercian Nordic Walking (www.mercainnordicwalking.co.uk) and the fantastic Socks & Chocs charity (www.socksandchocs.co.uk) to bring to you a battlefield tour that is completely different! It brings fun, fitness and history together for an amazing four days walking across the Somme battlefields. You will be taking in some of the must see sites that you will never forget. Also as part of our partnership a large percentage of the money made from the tour sales are being directly donated to Socks & Chocs charity so you will also be helping an amazing charity with its valuable work! There are also options for non walkers so if your partners, friends or family prefer to leave the walking to you, they will also be able to visit the same sites, and a few more via our motorised transport! From Vimy we will head down to our base in Peronne. Once checked in to our hotel we will head out as a group for a meal in Peronne or the hotel (Not included in tour price) to relax and recharge for the following day. For the non walkers you will be guided around the following sites by one of our guides, learning about the facts, fiction but most of all the personal stories at the Lochnagar crater, Gordon Dump cemetery (Victoria Cross recipient) Fricourt German cemetery, plus Devonshire and Carnoy cemeteries which will include the stories of Billy Nevill and two shot at dawn casualties. Our next stop will be a short drive (some stronger walkers may want to walk this ) to Contalmaison for some short walks around the town visiting various sites including, the Manchester pals memorial, the memorial to McCraes football battalion and Bells redoubt. 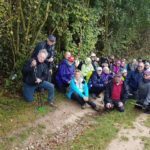 (Victoria Cross recipient) These are short walks and everyone should be able to participate, however if anyone needs a break the same sites will be visited via our transport. There will also be the option for the walkers for an added walk on this day. This walk is under construction and will be confirmed nearer the tour. Day 3 – Leave hotel 08:00 sharp. 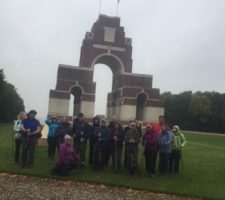 Walkers will be dropped at Ovillers and then walk the Thiepval area taking in the many cemeteries and sites around, including the mighty Thiepval memorial, Leipzig and Schwaben redoubts, followed by a walk up to the Ulster Tower. 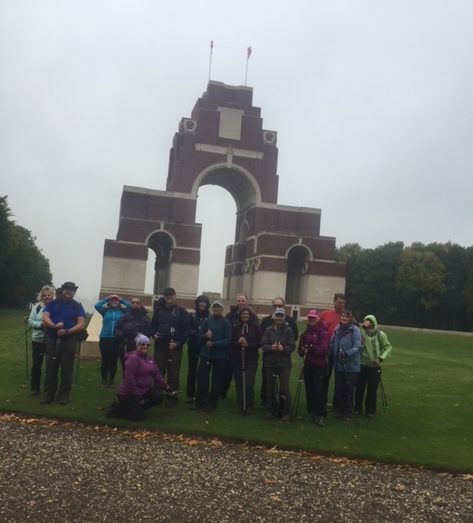 Non walkers will take a drive to the Thiepval memorial and visitors centre. Once here time will be spent taking in the stunning memorial, hearing about its history, and once again some of the personal stories amongst the 72000 names remembered here. There is a charge to enter the visitors centre and time depending this is also an option for our non walkers. 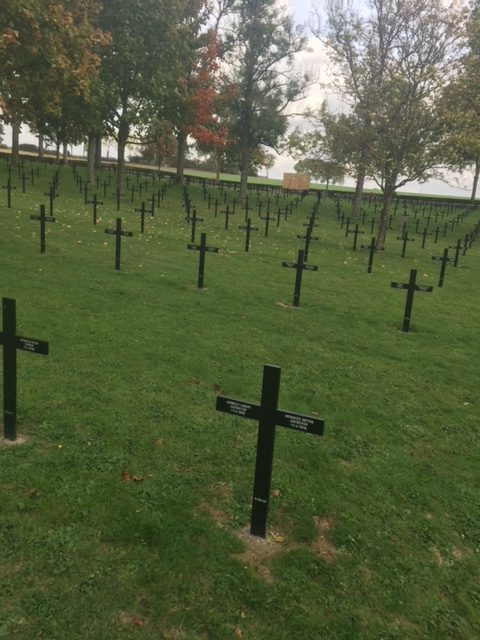 We will also visit the site of the Schwaben redoubt at Mill Road cemetery. 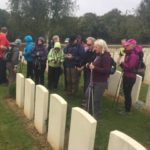 Non walkers will be taken with one of our guides to hear some fascinating stories at sites including, Authuille and Ancre cemeteries, the sunken lane, 8th Argyll and Sutherland Highlanders memorial, Beaumont Hamel cemetery and the Hawthorn crater before meeting up with the walkers back at Avrils. We then take a drive onto the brilliant Newfoundland memorial park. While here you will hear the stories of the Newfoundland regiment, the Highland division, Y ravine, the danger tree, and many more. 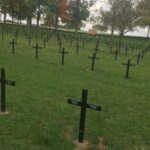 You will also be able to walk among the original trenches and take in some of the devastation of the area in the great war. This is where our tour ends and from here we head back to Calais. On two of our evenings away there will be a small talk presented by Rob Starr on WW1 poetry and literacy. This is free and in 2017 Robs two talks were both fascinating, informative and created some real talking points amongst the group. A non refundable deposit of £99 will secure your seat on this different and exciting tour. Full and final payment Is due on or before 31st May 2018. Instalments are excepted as long as final total is paid on time. 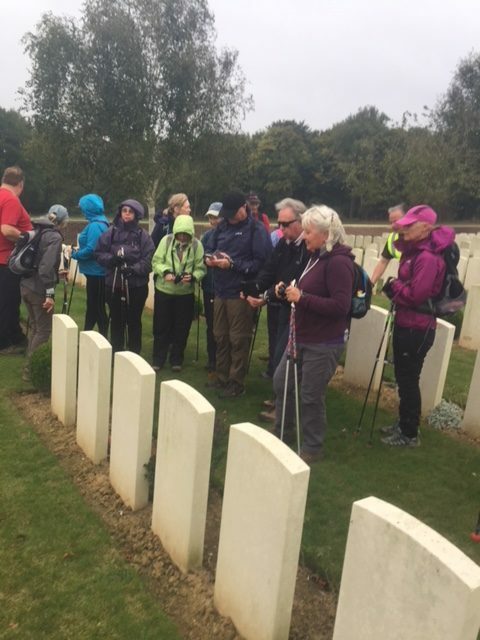 *Tour price includes collection and drop off from designated collection / drop off points, ferry crossing to and from France, hotel stay for 3 nights, coach travel across the battlefields of France to and from the hotel base, breakfast on days 2,3 and 4, guidance from 2 battlefield guides throughout the tour, a qualified Nordic walking instructor, and services of the tour manager. ***As this tour is aimed at raising as much possible for Socks & Chocs charity, no single room supplement will be charged”.